The Britton Deerfield Patriots basketball team is in the midst of a winning streak they are hoping they can keep riding into the district tournament next week. 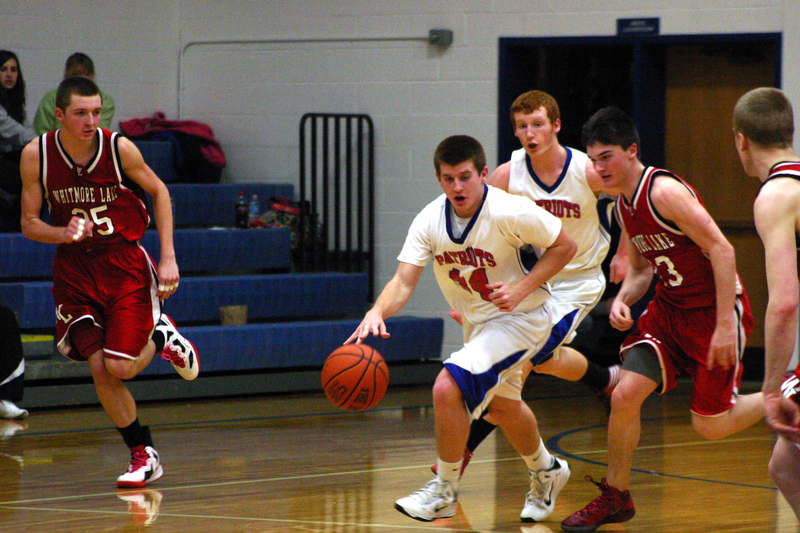 The Patriots shocked the Addison Panthers Feb. 18 with a one-point win overtime, defeating them 51-50. The Patriots carried the winning momentum into their victory against improving Tri County Conference foe, Whitmore Lake the following night beating them 61-60 at Deerfield. A strong third-quarter performance kept the Blissfield men’s varsity basketball squad in reach of the Erie Mason Eagles Tuesday, but the Royals were unable to complete the effort and suffered a 58-52 loss. Blissfield may have an opportunity at redemption against the Eagles if the two meet in next week’s district tournament. The Royals open up the district tournament against Britton Deerfield at 7:30 p.m. Monday, March 4 at Saint Mary’s Catholic Central. After some tough losses the week before, the Whiteford Bobcats picked up two league wins last week. The Bobcats defeated Sand Creek Friday evening 64-53. The Bobcats played Morenci on the road Feb. 19 and pulled out a 50-47 victory.